That's A Great Question. I'm Glad You Asked! Without giving you the numbers breakdown of the cost of doing business that only an accountant would be interested in here is an explanation of why wedding photography is not cheap! We are a professional photography business that provides high quality service and a customer experience that you won't find with every studio. We only use professional camera equipment, but most importantly we know how to use it. We have all the expenses it take to run a business and more. Camera Equipment: We only use professional Canon gear. Camera bodies, lenses, flashes, memory cards, light stands. Studio: We run a photography studio: a place to meet, take photos, plan, talk, and show you samples of our work. Professional fees: We have insurance, back up camera gear, we also are able to keep your wedding photos in two separate locations in case of an emergency. Professional organizations: We are part of the largest professional organizations WPPI and the Local ABC bridal organization. Along with all the online closed groups through Facebook that are for professional wedding photographers. Ongoing Education: The last educational seminar to be on the cutting edge of wedding photography was amazing. It also cost $1000 for two days of learning. Computers: We have expensive computers with professional software subscriptions that is needed to edit and retouch your wedding images, run our business, and allow us to work efficiently. 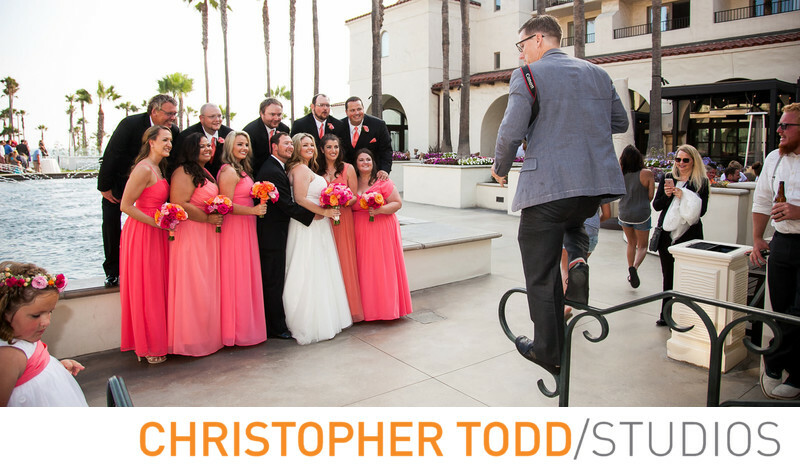 Employees: As I have stated before when you hire Christopher Todd Studios you will always get Christopher Todd as your main photographer not an associate. However, we do have a wonderful team that helps our Studio thrive and be the best we can be. Including, our trustworthy studio manager, photography assistants, second shooters, and the great people that work details and post production. We are not just getting paid for being at your wedding for 8-10 hours. There is work that is done before your wedding day, engagement sessions, planning meetings, we will answer any questions you have about the wedding process not just about photography. After the wedding we spend around 20-40 additional hours working on your photos, designing your custom wedding album, retouching photos. We will meet after your honeymoon and pick photos for your album or wall art. We are here with you for every step of the process. Even after you get your wedding album we have a bond built on trust and will be there for your future photography needs. Oh yeah and I have to pay myself as this is my livelihood so I am part of the equation. I am a professional wedding photographer, but more accurately I am an artist that has focused on photography. I have acquired my professional skills through years of experience, hundreds of hours in the classroom, and darkroom, attending industry classes and lectures, and critiques. This is ongoing, you can never stop learning and fine tuning your skills. Countless hours of photography projects and years of working and interacting with clients. Artistic skills: Art is a large component in what I do. Understanding how to use the camera as a tool to describe your image is a technical skill, knowing where to point the camera is an art that I have mastered. I have an inherent compass for what looks great and what doesn't. I have the ability to look through the lens and visualize a final product before creating an image. When you See the world through a compositional eye your opportunities to create beautiful photographs are bountiful. Photographic Skills: Taking photos is artistic in nature, yet you have to have technical skill to achieve great images. My expert knowledge of how lighting, environment, background, subjects, and camera equipment work are all part of achieving outstanding professional photos. You know you are a camera geek when reading the manual has become a leisure activity. People Skills: This is often overlooked, but let's not forget how important it is to actually have people skills. Communication is very important for many reasons. We want to hear about your wants and needs, and we want you to know what we offer and can provide to you. Being in front of the camera is not always a natural feeling. Some people are just not comfortable. We strive to make people comfortable in front of the camera and at ease. We know how to pose people to make them look their best in a photograph. Whether it's a couple on their wedding day or an individual we want to capture your personality or your relationship. My ability to make clients feel at ease and relaxed is a large component of what I do. Having fun, being yourself and creating beautiful images all comes with being able to relate to who I am photographing. Experience: I feel experience is extremely important. Having photographed weddings for over 16 years we have captured countless unrepeatable moments. I am not just snapping pictures hoping to get a lucky photo. Knowing where to be and anticipating that special moment comes from having experience. So Why Hire an Experienced Photographer? You should hire an experienced professional wedding photographer to make sure your wedding day is captured with feeling and emotion. Your photos should tell your love story and document it from the beginning. This is your legacy that you will pass down to future generations. Your wedding album is a priceless heirloom and there is only one chance to get it right. When the festivities are over and the guests have gone home, the cake has been eaten, the flowers are no longer fresh and beautiful, your hair and makeup made it through the day, and you have taken off your wedding shoes you will know that you can relive the moments of your wedding through your wedding photos and custom album. We also specialize in family portraits, headshots, and social events. 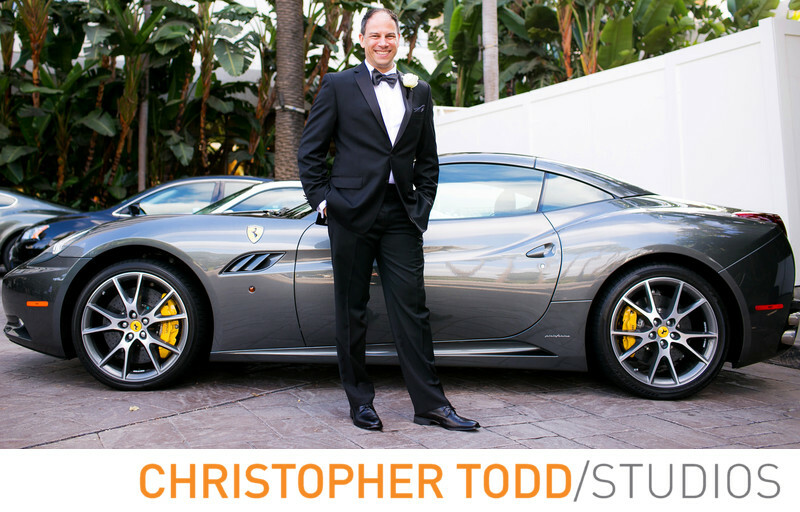 Want to know more about Christopher Todd? See these 10 fun facts about your future photographer!